It’s been a while since my last post here. In 2011 however I will try to come back to my routine of posting something new at least once a month. 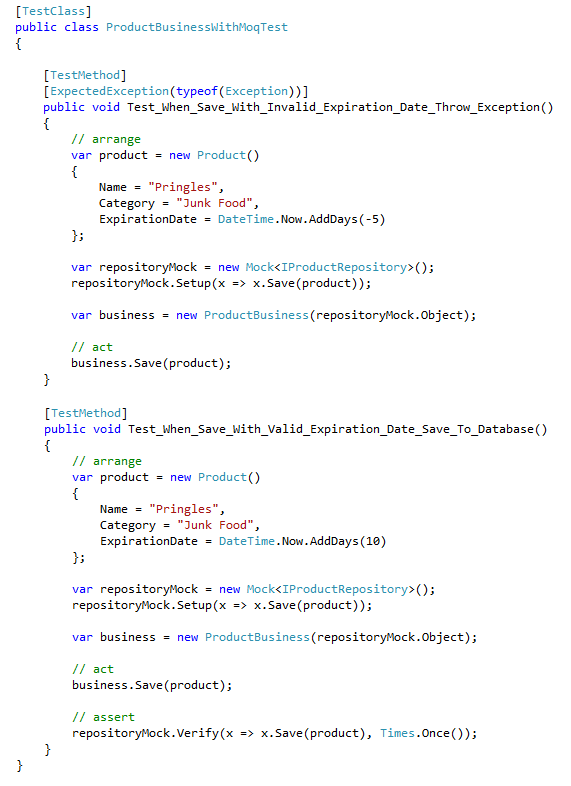 Today, I will share with you the way I’ve been writing tests for my ASP.NET applications using Moq framework. 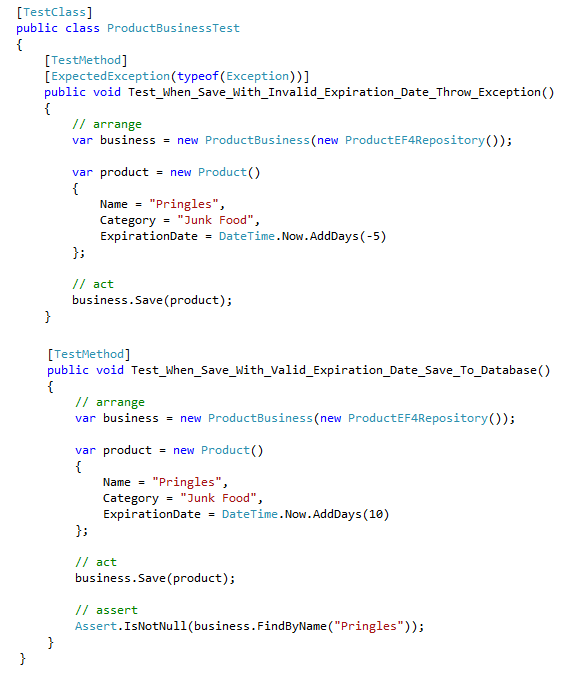 When testing business validation, the programmer does not have to access the database for that. In other words, your code should be isolated from the data layer. To do that while testing, you must create mock object (simulated objects that mimic the behavior of real objects in controlled ways). One way of doing that is using Moq framework. See the code below, now using the Moq framework. 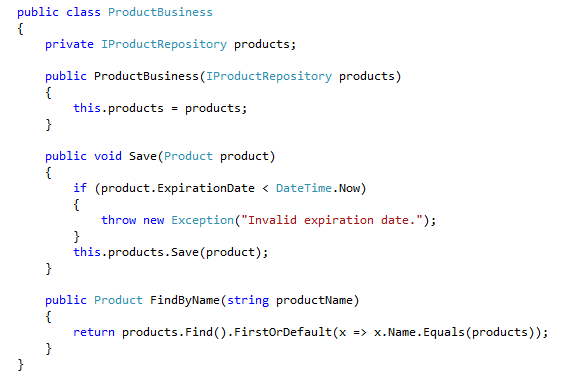 In the next post, I will show how I use Moq to test my controller in ASP.NET MVC application.